There are times when you simply do not want to build but you need a beautiful and stylish house located in a great location. 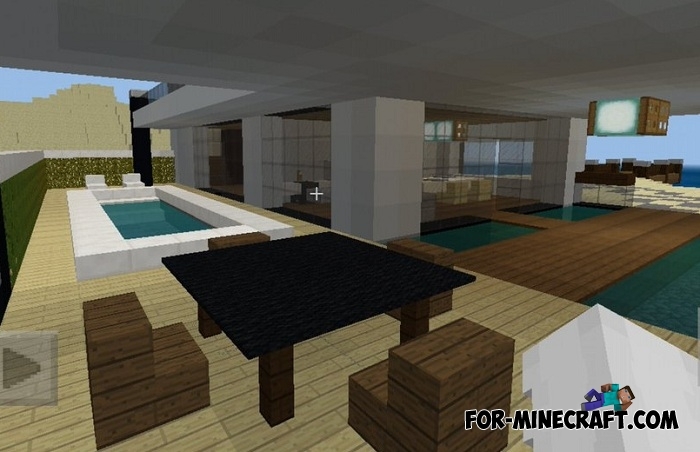 So if this happened and you do not want to build anything or just do not know how to do it well then you should download this map. 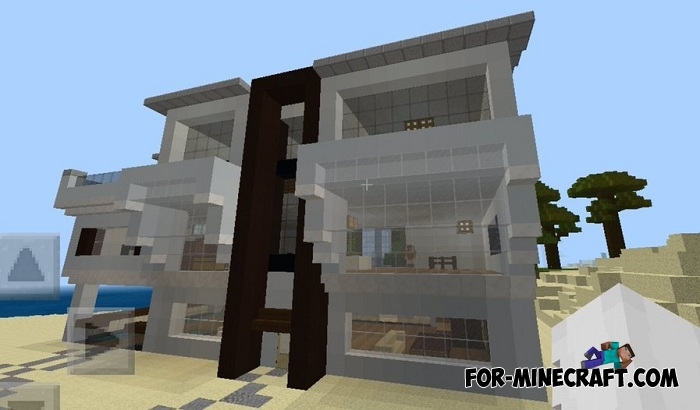 Thus you get a modern three-storey house on a sandy beach with a small pier nearby. The interior was taken from an average residential house decorated with furniture and improvised electronics. High stained-glass windows, swimming pool, terrace. 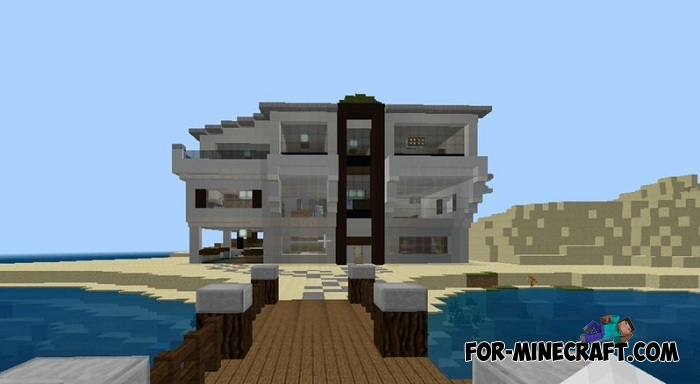 Do not miss the opportunity to explore the seabed of the Aquatic Update with this house.